The value of any data is unleashed when it is put to open view and analysis. Giving fresh perspective can yield better outcomes with the in-hand data. 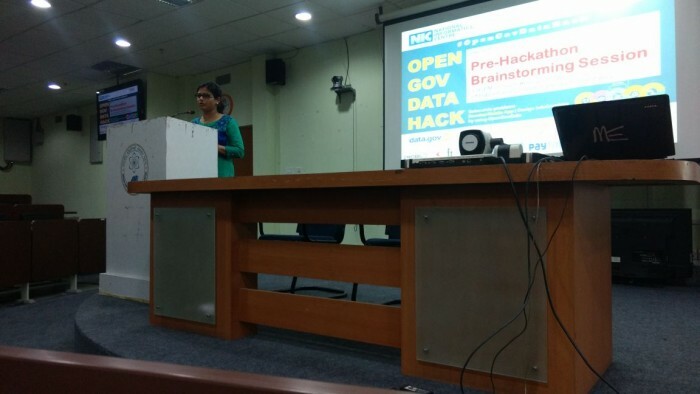 Keeping these into account, GOI has launched an "Open Government Data Hackathon" across seven major cities in India. Patna- the city of Buddha is proud to be associated with this innovation drive. â#OpenGovDataHackÃÂ¢Ã¢âÂ¬ÃÂ, for Students, Entrepreneurs, Innovators, Start-ups, Developers and Community to create unique and innovative service delivery Applications & Info-Graphics to foster innovation. The Hackathon is conducted nationwide in 7 cities & online. The seven cities are Surat, Patna, Jaipur, Chennai, Bhubaneswar, Hyderabad and Noida. 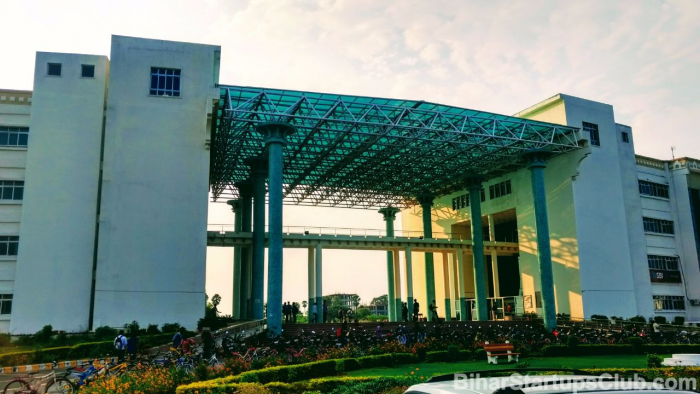 A Pre-Hackathon session was concluded recently at IIT Patna which was focused on creating awareness towards up-coming Hackathon event. The august gathering was administered by joint initiatives by NIC & IAMAI. The dignitaries present at the venue included Dr. Sriparna Saha (Asst. Prof. IIT Patna), Vineet Mishra (Assistant Vice President, IAMAI) and other representatives of NIC. 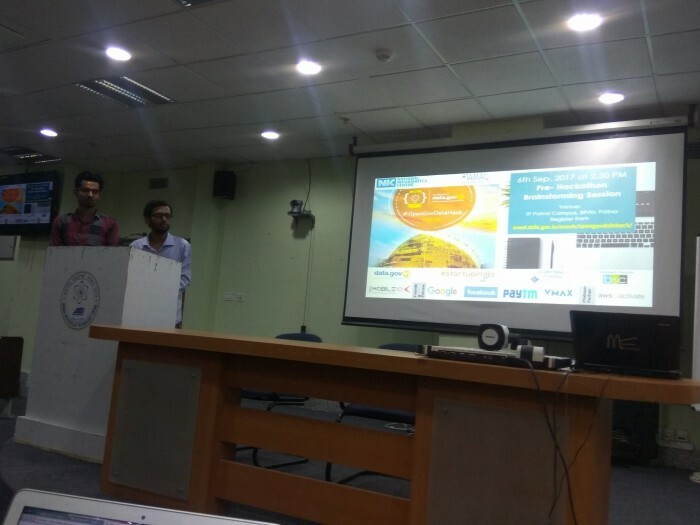 Other active participants included Vivek Kumar (Community Leader at Bihar Startup Club), Abhishek Kumar (BEA), Avinash Kumar (Founder of Sevamart- a successful utility based startup from Patna) & Students from IIT Patna were present for the discussion. Aman started with overview about OPEN Data, how much data is open in india and advantage of open data. Vivek from Bihar Startup Club discussed about What Apps could be built and technologies that can be used for mobile apps development in the up-coming Hackathon event. An individual/team can participate in one challenge only; either onsite city or online challenge and can submit only one project (Apps or Info-graphics). Following are the details of City and Online Challenges. Students, Entrepreneurs can participate by signing up for the event at https://event.data.gov.in/events/. The first round would be conducted as on-site challenge which is a 24 hrs. event, where participants gather and create apps with the open data available from different departments. The apps/ info-graphics need to to be submitted for review. On completion of the Onsite City Hackathon in the above mentioned cities, the Challenge will also be conducted online on a specific date, to be hosted through https://event.data.gov.in (date and time to be announced in due course of time TBD). There would be six token prizes for each onsite city challenge. Two winners would be under Infographics category and four winners under Apps category. For the online challenge, 10 entries would be selected for phase 2. These selected entries would be given certificate of appreciation. Bihar Startup Club would encourage students from different back grounds to participate in the Hackathon event and unleash their potential.